Whether your have commercial premises or a domestic property in Bishopston or Horfield, we can provide you with competitive rates on all roofing services to get your property back in ship shape, keeping it protected from the elements all year round. We really do care about delivering a good service to all of Bishopston and Horfield, and so our many satisfied customers in the local area trust in us to provide stunning roofing every time. 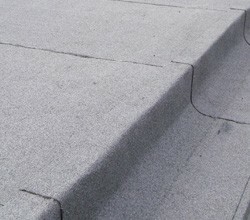 We like to use the best grade materials for the job, taking confidence in the finish and durability of our work. For all of your roofing needs, wherever you need us throught the Bristol area, you can get in touch straight away by ringing us on 0117 345 9299. You are guaranteed the highest standards of workmanship, the finest materials and exceptional customer service. Drawing upon 15 years of experience and industry knowledge, you can always depend upon us to get the job finished just how you want it. We guarantee all work for your peace of mind!